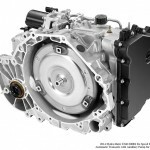 The Hydra-Matic eAssist 6T40 (production code MHH) is a six-speed automatic transmission produced by General Motors for use in electrified front-wheel-drive vehicles with a transverse powertrain orientation. Developed in-house by General Motors, the Hydra-Matic 6T40 is part of the 6TXX family of transmissions that succeeded the 5TXX family. Specifically, the 6T40 MHH eAssist is a special variant of the 6T40 gearbox modified to use electrification; it is sometimes known referred to as MHH-6T40 with Auxiliary Pump. 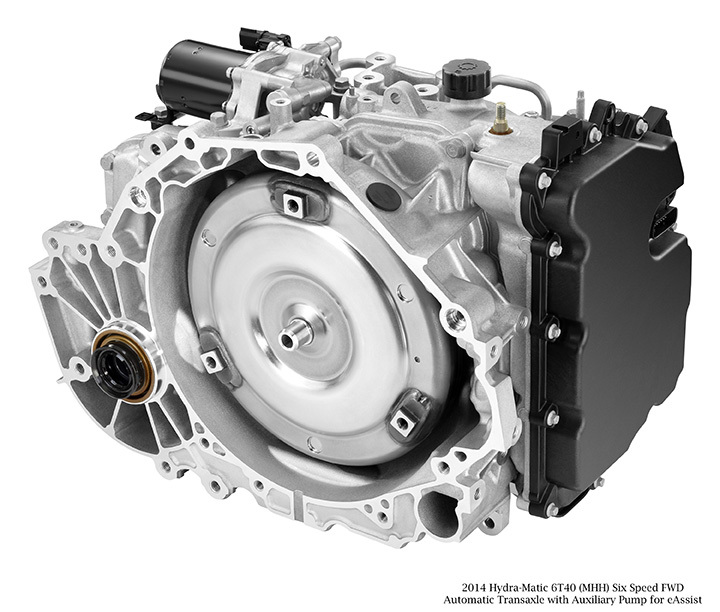 The special MHH eAssist version of the 6T40 transmission uses electrification to increase fuel economy. The added electric power provided by the eAssist system allows for higher gearing which improves steady state efficiency without compromising acceleration, performance or driveability. The eAssist system provides electric assistance at cruising speeds, allowing the driver to accelerate lightly or ascend mild grades and minimize transmission downshifting. An auxiliary, electric oil pump is added to the 6T40 to keep the transmission launch clutch primed when the engine shuts off at a stop. That keeps the transmission ready to perform when the driver accelerates for a seamless, uncompromised driving experience. The special MHH version of the 6T40 transmission uses light electrification to increase fuel economy. Significant internal changes to clutch controls and hardware provide reduced spin losses, while improving shift response and time. The added electric power provided by the eAssist system allows for higher gearing to improve steady state efficiency without impacting acceleration performance or driveability. The eAssist system’s capability of providing some electric assistance at cruising speeds allows the driver to accelerate lightly or ascend mild grades without the transmission downshifting.